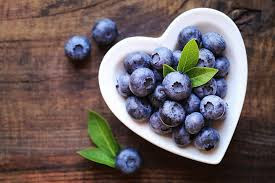 I love blueberries and all berries. Today a really french recipe. For this dessert also use frozen blueberries because although it has been found fresh you must freeze them if you don't use right now. The summer heat has dropped a little but we still continue with those terrible fires especially in forests. I hope they are finished. And I know that for many of you Spring is already close. Spring is a beautiful season. A hug for all ! In a small saucepan combine the blueberries,sugar,starch, juice and lemon zest. Bring to a boil. Reduce to medium heat and simmer, stirring occasionally, for 10 minutes or until the mixture has thickened. Remove from heat and let cool completely. Remove the strips of lemon zest. Meanwhile in a bowl combine graham crust, sugar and butter until well moistened. Squeeze the mixture into a 23 cm (9") square baking pan lined with parchment paper. Freeze for about 30 minutes or until crust is firm. In a bowl, using an electric mixer beat the cheese and condensed milk until the mixture is smooth. Add sour cream, greek yogurt and vanilla and mix well. Pour the cheese filling over the reserved crust and spread evenly. Drop the blueberry puree in large spoonfuls over the cheese filling over the reserved crust and spread evenly. With the tip of a knife, but without touching the crust, draw volutes in the filling to create a marbled effect. Remove about 20 minutes from the refrigerator before serving. Hello everyone, sometimes is difficult publish the recipe but finally Im here ! Sometimes I feel a little tired, there are so many things in the summer and in the countryside there are many work that you will see from the usual in a house. But I'm sure I love cooking and baking even if I'm tired. This recipe (from Martha Stwart) was taking advantage of abundance of plums (I also made raspberry / plum jam) I have that thing of try not losing fruit. Love and hugs for all and thanks by coming!! Pulse floor, granulated sugar and salt in a food processor until combined (or by hand). Pulse in butter until mixture resembles coarse meal, about 10 seconds. Add egg yolk. With machine running add ice water in a slow, steady stream just until dough holds together. Turn dough out onto a work surface shape into a disk and wrap in plastic. Refrigerate at least 1 hour and up to 2 days. Whisk together confectioners sugar, flour, baking powder and salt in a medium bowl. Using a pastry blender or yours fingers cut in butter until mixture resembles coarse crumbs. On a lightly floured surface roll out dough about 1/8 inch thick (2,5 cm). Using a paring knife trim to a 1 inch overhand: fold under. Crimp edges as desired. Prick bottom of dough all over with a fork. Freeze 30 minutes. Preheat oven to375 ° F (190° C). Line dough with parchment pressing it into corners and edges. Fill with dried beans or rice. Bake covered with foil 18 minutes. remove beans or rice and parchment . Bake until pale golden brown about 12 minutes more. In a medium bowl, gently toss together plums, granulated sugar, and salt, let stand 15 minutes. Spread two tablespoons creme fraiche onto bottom of the crust, sprinkle with on third of streusel. Arrange plums on top and spread the other tablespoons of creme fraiche. Sprinkle with remaining streusel. Bake until creme fraiche is bubbling and streusel is golden brown, about 40 minutes. Transfer to a wire rack and let cool about 15 minutes. Serve warm or at room temperature with ice cream or whipped cream if desired. 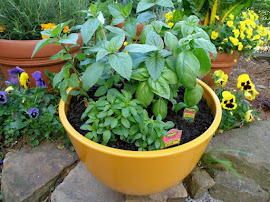 Basil is really nice in some sweet recipes and of course I love in pizzas, and others. It is a dessert for all seasons, for those who have a terrible cold in Europe and North America and those who die of heat here in South America , Australia and New Zealand and other countries as well. Place crushed cookies and melted butter in a bowl and stir well with a fork until crumbs are evenly coated. Divide crumbs evenly between 6 ramekins. Press the crumbs into the bottom and up the sides of the ramekins. Place on a baking sheet and set aside. Place the blueberries, water, 3 tablespoons of sugar and dried or fresh basil in a saucepan. Cook and stir over medium high heat while it bubbles and the blueberies begin to burst. Continue cooking and stirring until the mixture thickens about 6 minutes. Remove from the heat . It will continue to thicken as it cools. Separate the eggs and put the yolks into a medium size bowl and the whites into a small glass or metal bowl. Use and electric mixer to beat the yolks until pale and creamy, and then add the sweetened condensed milk and continue beating until combined. Gradually add in the lemon juice and continue beating until throughly combined and slightly thickened about 3 minutes. Spread 1 teaspoon of the bueberry mixture evenly onto the bottom of each individual cookie crust. Spread 1/4 cup of the lemon mixture evenly on top of the blueberry in each ramekin. Place the pan with all the ramekins in 180° oven and bake for 12 minutes. While the pies are baking beat eggs whites and cream of tartar with clean beaters until foamy. Gradually add 4 tablespoons of sugar and continue beating until the egg whites are stiff. Place the meringue in a piping bag with a large decorative tip. Pipe a dollop of the meringue over the warm mini pie filling. Return pies to the oven and continue baking until the meringue browns, about 5-7 minutes. Cool on the counter top and then chill in the refrigerator. Garnish with blueberries and fresh basil leaves.